Pioneers in the industry, we offer epson dx5 print head and epson dx7 print head from India. 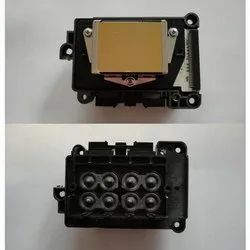 This printhead is suitable for the Mutoh ValueJet printer series. It has a native resolution of 1440dpi, 8 nozzle lines (corresponding with 8 independent ink channels) and 180 nozzles per line. This printhead is either used in 4-colours (2 channels per colour) and has a minimum, variable droplet size of 1.5 pico litre (max. droplet size is 21 pico litre). The typical firing frequency for this print head is 8 kHz. 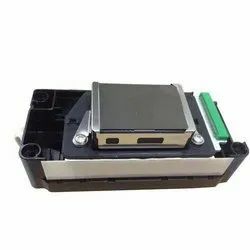 This universal printhead without mounting bracket is suitable for Mutoh Printers, printhead has a native resolution of 360 dpi, 8 nozzle lines (corresponding with 8 independent ink channels) and 180 nozzles per line. The printhead can be used in 4-colour or 8-colour printers and has a minimum, variable droplet size of 1.5 pico litre (max. droplet size is 21 pico litre). The typical firing frequency for the printhead is 8 kHz. It is a new generation printhead that allows fast speed, high resolution printing with eco-solvent and mild solvent inks.